Weird and wonderful knitted stop-motion short from Emma de Swaef and Marc James Roels, winner of 82 awards from film festivals worldwide. Stephen Irwin’s latest award-winning Sundance-nominated dark and surreal mixed media short. Fresh from Sundance 2015, William Bishop-Stephens and Christopher Eales’ brilliant comedy short, starring Tim Key. Come for the films, stay for a drink and a chat, and let us know if you’ve got any ideas for animation nights in the future – we’d love to hear them. The 3rd of our monthly spirit tasting events, May’s event will be a take on a duo of sophisticated British classics – Gin and High Tea, with a masterclass in British Gins, tasting notes, and paired foods of delectable cakes and finger sandwiches. As well as a 2 hour presentation with our resident spirit-ual experts where you get to try 5 gins with high tea style cakes, you will also get to blend your own Gin to take home as part of the price. These events have very limited availability so don’t miss out and get a ticket asap! African Samba, not fitness Zumba- suitable for all skill levels! 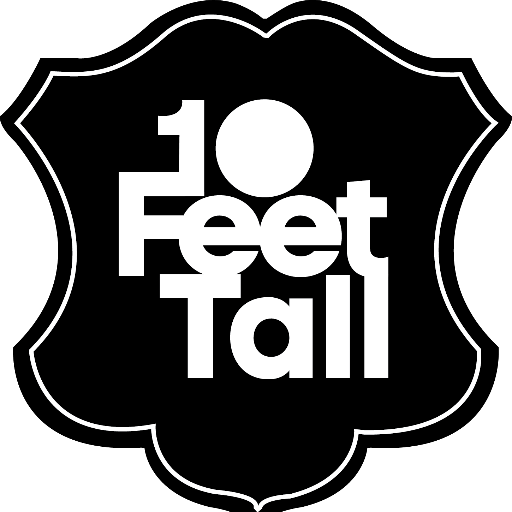 10 Feet Tall are delighted to announce a brand new eclectic night of Open Mic – What Ya Got? Hosted by local musicians Owain Davies and Chip Langley, we’ll be drawing on the bohemian spirit of ‘60s Greenwich village with liberal sprinklings of Music, Poetry, Storytelling, Comedy, Cabaret and indeed whatever you want to bring to the stage. Got an idea – then get in touch and we will help you get it to our stage – give us a shout through our facebook page. Hello dears, Vera and Dilys here – freshly rejected from the WI and here with a brand new bingo night held every second Thursday of the month at 10 Feet Tall. Bring your pocket money possums – it’s just £2 to play – there’s plenty of wonderful things to be won, booby prizes for the losers plus forfeits for foul play. Dilys has been busy with crochet – can’t beat a good toilet roll cover. Ask those fellows at the bar for your tea cocktails and a slice of Vera’s battenberg, sit yourself down at a table and let’s play some ruddy bingo. If – like us – you like your tea alcoholic and your bingo game fierce then this is the place for you. Award winning comedian Jordan Brookes presents the Troll Quiz! Like pub quizzes but wish they were mixed up with comedy, dancing, songs, and general nonsense? Then come along! There are no winners and losers, only fun to be had. P.S there are prizes on offer so there will be actual winners. Another intoxicating evening of burlesque and cabaret from Burlesque Cardiff. Featuring Drag king heart throb Barri Islande, plus”the tattooed temptress with curves to die for Miss Poppy Raine” and guest stars… Vocal comedy duo Flossie and Boo’s curiosity shop. With many other acts to be confirmed and your hostess, Miss Foo Foo Labelle.